In a manufacturing market where welding services are widely available, how can you be sure that parts you’ve ordered will be welded with an adequate level of care? Doing your homework may involve a little bit of investigating and asking potential vendors the right questions, but knowing that their equipment and welding skills are at or above industry standards can save you a lot more time (and money) in the long run. Though some parts manufacturers won’t publicize any proprietary welding methods or processes, they should always be able to answer questions about the training of their staff and internal systems of accountability. An effective welding training program may involve certifying welders according to the AWS (American Welding Society) standards, and often requires regular re-testing or inspection in order to ensure quality control. 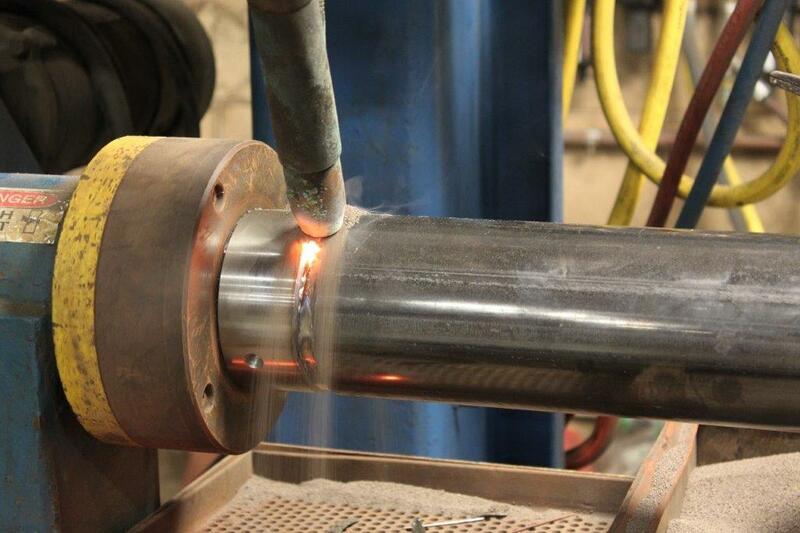 For example, at Allis Roller, we take the extra step of contracting with a third party CWI (Certified Welding Inspector) to assess our aspiring welder’s weld tests for AWS compliance. Once those newly certified welders are cleared by the CWI, their work is then continually monitored for AWS compliance to ensure that the quality standards we promise to our customers hold true. When seeking out a vendor, ask about their welding training programs or apprenticeships, their quality control protocols, and whether or not they monitor or inspect their parts continually according to official standards. While expecting every welder to hold those certifications may be impractical, you should ensure that the welding team has several certified welders and a solid quality control process to ensure all welds are held to the same standards. Look for a machining operation that is capable of balancing both automated welding technology and manual welding services in a lean, efficient process that leverages both to maintain quality while achieving cost-savings for the customer. Today, welding is often automated with robotic welding equipment in order to keep costs down for customers, shorten lead times for large orders, and provide a high level of accuracy that only an automated system can provide. If your parts order is particularly large, contracting with a manufacturer that uses robotic welders will likely lower your costs while providing a premium level of accuracy for tight tolerance machined parts. Smaller orders may not warrant the programming required for automated welders. For welding work that is better suited to manual welding, well-outfitted operations will utilize welding fixtures designed to optimize the welding process. An operation that provides their welders with this type of additional equipment is helping to maximize welder skill set and prevent welding fatigue, which results in a higher quality weld and overall product. Before deciding to place an order with a prospective machined parts manufacturer, inquire with your vendor on what types of modern welding technology they employ, and how they balance cost savings with methods and quality control. For example, our welding experts at Allis Roller delegate welding work based on the needs of the client, including the complexity of the part and size of the order. We will choose either automated or manual welding services in a manner that is most beneficial to the customer. Our arsenal of welding technology includes Jetline Automated Welders, an upgraded Submerged Arc Welder, and brand new pulse welders – including aluminum welding machines to improve quality and efficiency. Our parts engineers are always available to answer questions about the welding services we provide, and never hesitate to talk about the people and equipment that has built us a reputation for quality and precision. In the weeks to come, stay tuned for new welding innovations coming to Allis Roller! For more information on vetting welding services and technology, connect with one of our machining experts via our Contact page.